Thank you for writing this timely Truth. The truth of the matter is evil is what evil does. The Bible says we humans will be judged by our deeds, what we have done while on the Earth. Evil men invented the atomic bomb and other uses for uranium. 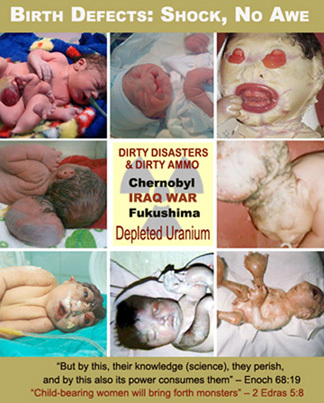 The results of human exposure to radiation and the fallout from uranium and its byproducts can be seen all around us. These men lied to us. They said evil was good. They have and are committing one of the greatest crimes against humanity in the history of mankind.